Roots are an integral part of the wild food culture. Hidden deep within the ground, these treasures are literally the root of the plants nutrient cycle. They anchor the plant firmly into the soil and absorb all the nutrients the plant needs. Autumn is the best time of year to pick roots as the plant brings all of its energy back down into the earth. 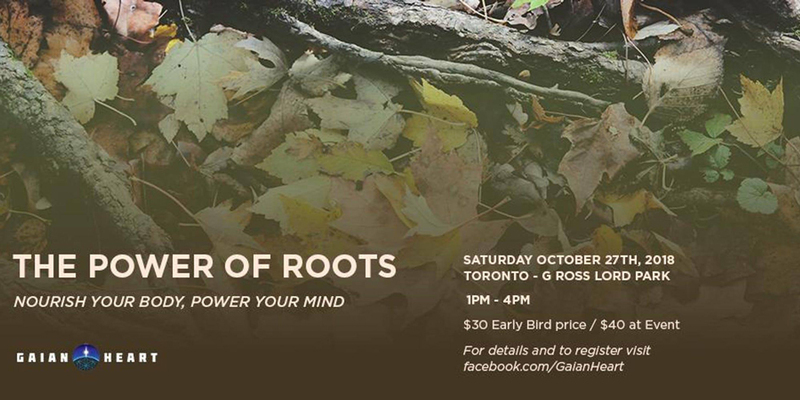 Roots have a deep impact on our brain and provide incredible healing tools for our digestive organs while at the same time providing a good source of carbohydrates and fantastic energy. Come and learn the plants all around you from the bottom up and understand a completely different perspective on wild eating and medicines. Come join the Wild GrassRoots Movement! We will meet at the last parking lot as you drive in coming from the main entrance on Dufferin St. This event is rain or shine! Please bring a bowl and spoon to sample some wild root soup and get ready to heal your life!